This is, by far, one of the neatest edible cake decorating materials I've ever used! Edible gelatin plastic is clear, flexible, and can be colored or cut to fit whatever project you're making! This material works great for windows for a house or car cake, it's great for edible stained glass, or it can be used as the clear bag over a cake made to look like a food item (such as bread, lettuce or chips!). Edible gelatin plastic is sensitive to heat and moisture, so be sure to add any gelatin decorations as close to serving time as possible. Gelatin plastic will need to dry overnight, so plan ahead! Before making our plastic, we will need to find an even level surface where the gelatin can rest undisturbed. Lay down a sheet of clear plastic over the surface. I'm using an 8" X 10" sheet of Martha Stewart Crafts Paintable Plastic. 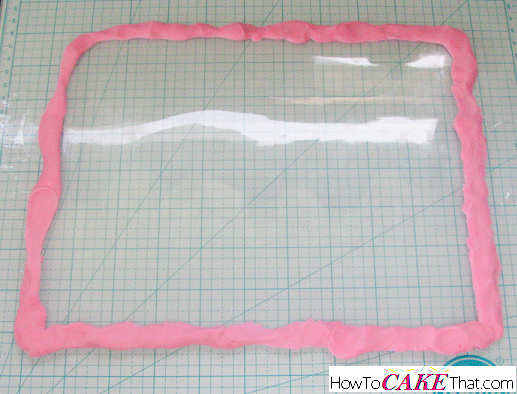 Next, create a barrier using a nontoxic putty or clay, or leftover fondant works well, too. For this tutorial I'm using fondant. To begin making our plastic, place a small saucepan on the stove. 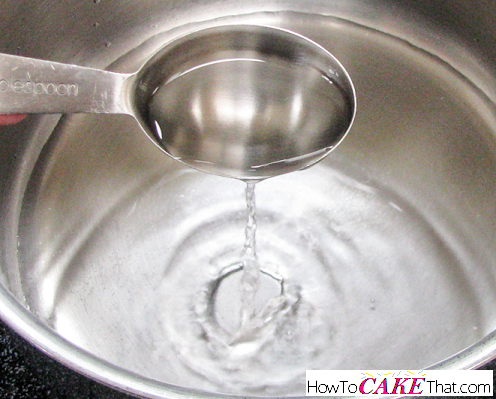 Pour 6 tablespoons of water into the saucepan. 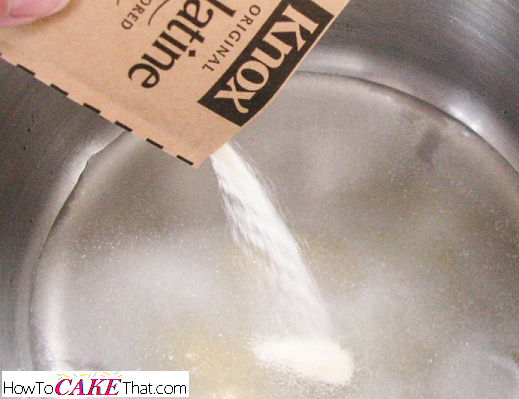 Next, sprinkle two packets (14g) of Knox original unflavored gelatin into the saucepan. Note: the mixture is 3 tablespoons of water per 1 packet of gelatin. Feel free to make larger batches. Heat water and gelatin on low until gelatin has completely melted. Stir mixture occasionally. 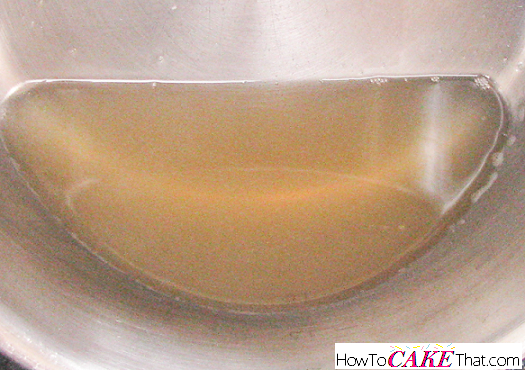 After gelatin has melted, tilt saucepan to one side. 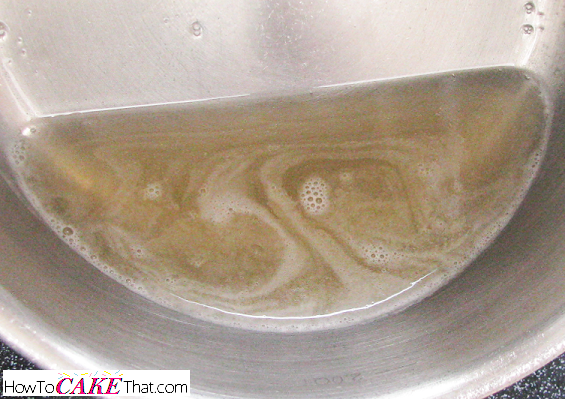 Using a spoon, skim foam off of the surface of the gelatin and discard. Most of the foam should be gone and gelatin liquid should have a nice clear appearance. Note: If you'd like to color your gelatin, stir in gel food coloring or airbrush colors. 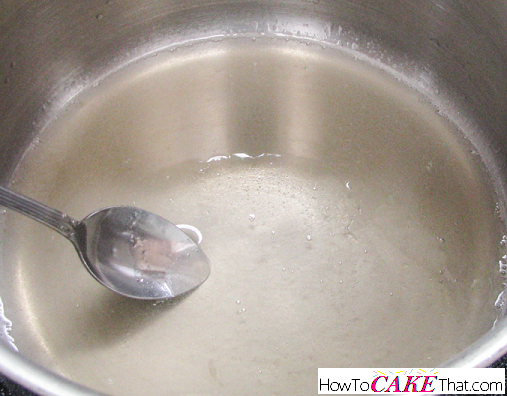 Before pouring the gelatin, be sure the liquid is not too hot or it may melt the plastic. 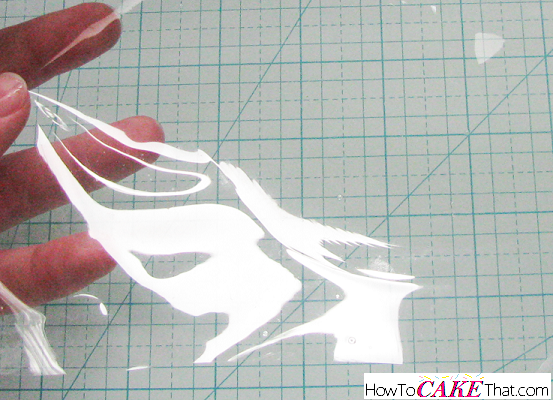 If you'd like a thick, less flexible sheet pour the entire amount of gelatin onto the plastic sheet. 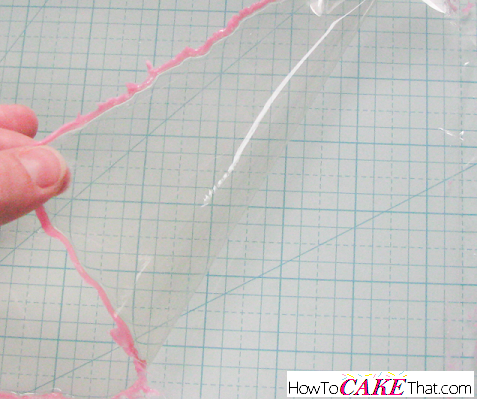 For a thinner, more flexible gelatin plastic, pour a small amount of gelatin onto the plastic sheet. 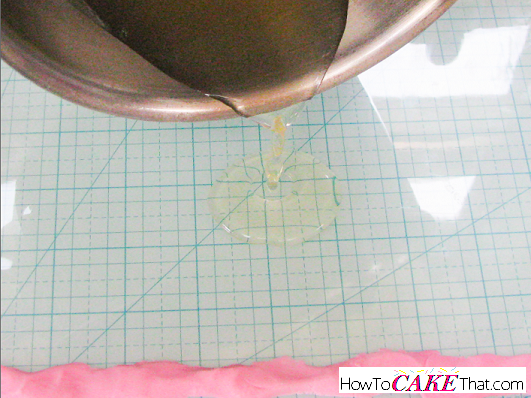 Working quickly, lift the plastic sheet and tilt so the gelatin liquid thinly covers the plastic sheet. Add more liquid if needed, until the entire plastic sheet has a thin coating. Note: The thicker your gelatin plastic, the more it will warp when drying. 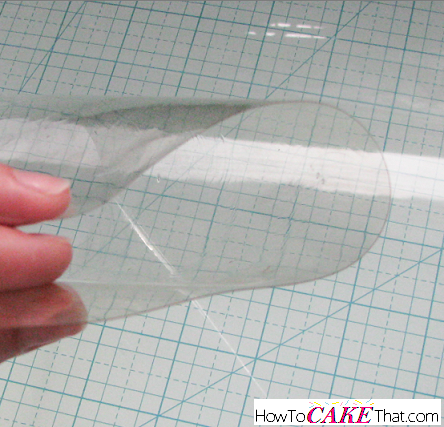 To keep warping to a minimum, make gelatin sheet as thin as possible. Allow gelatin plastic to dry overnight. For thicker gelatin plastic, drying time may be a little longer. 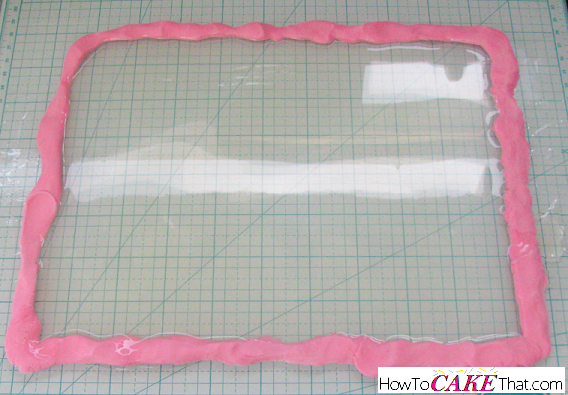 Once the gelatin plastic has dried, gently remove the fondant or clay barrier and gently peel the gelatin plastic sheet away from the craft plastic. Using scissors, trim edges to neaten. And that's how you make this awesome, clear, bendable decorating material! I hope you have enjoyed this tutorial! God bless!